Digital Profiles have value if and only if they do a credible job of describing customer behavior. Here is a case where our Digital Profiles make a difference. We're analyzing customer behavior during January 2010, based on the Digital Profile the customer had as of the end of December 2009. Which segments perform the best? Winter Wear is the segment that performed the best, and for good reason, given that January is smack-dab in the middle of winter! 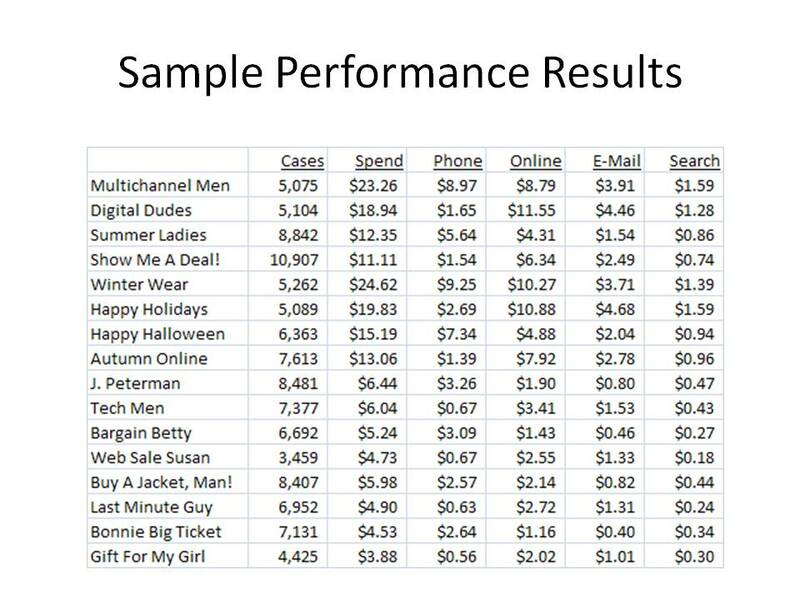 Notice that Multichannel Men perform well, too. The bottom of the Digital Profile list didn't perform well. These tend to be sale customers who like to shop during the Holiday season. Happy Holidays (these must be good, cross-channel buyers). We repeatedly see the same Digital Profiles performing well in January. This will happen, over and over and over again. There will be maybe four Digital Profiles that consistently outperform all others. These are your "best" customers, and the labels associated with the Digital Profiles tell you who your best customers are. These are the Digital Profiles to pay attention to. If the business is going to be successful, then these Digital Profiles need to grow, not contract. We will look at this issue in our next edition of Digital Profiles, next week. How hard is it to break into this space on your own? Are you busy? More busy than you can handle? Do you find it harder to go solo without a Ph.d? It isn't easy to start something on your own, but I think you can will it to happen. It helps to have twenty years of practical experience at companies like Nordstrom, Lands' End, and Eddie Bauer. I only have a B.S. degree in Stats, which means that I started way behind the curve. But I think that is an advantage. Since I'll never have the statistical experience that more educated folks have, I have to make up for it in some way. 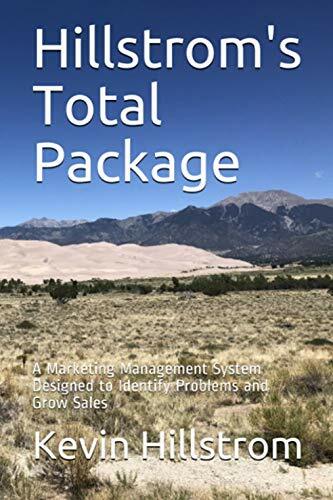 I chose to make up for it by knowing the customer behavior, marketing activities, and profit/loss information that results in a business being successful. Now that I have that, people are willing to pay for it. CEOs seldom ask one to prove that least squares regression is a best linear unbiased estimator. CEOs always want to know the activity that yields the most profit. Anybody can do that! Almost nobody chooses to do it. So, you combine stats with computer programming and a desire to explain customer response to marketing, and you have something! Yes, I am busy. At times, I come close to being busier than I can handle. Each time that has happened, it's been paired with a period where things haven't been as busy as I'd like. Those are the times I write books, and the books lead to projects, and then I'm very busy again. It's a circular process. I've learned that I have to be marketing all of the time --- blog, Twitter, books, conferences, industry articles. Any time you stop, business slows. All in all, this is a good field to be in! But it does require a certain level of tenacity that is hard to teach somebody. That's another thing. Back in the Fall of 2007, business was good enough that I could consider having many employees. And then, the economy imploded. Timing and intuition are important traits to learn. That's one that I typically address via my Gliebers Dresses series ... I think that is the best way to approach the topic you suggest.